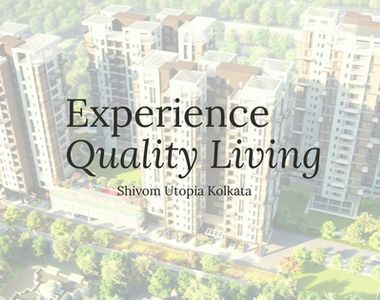 The current state of real estate in Kolkata has plunged at massive rate bring smiles for the investors, renters and prospective buyers as well. The city is located at the blink of tradition and modernity, the real estate market in the city reflects the same. According to recent studies, real estate market in the city is experiencing the annual growth of 11% with the emergence of numerous townships in and around the city. These emerging townships have turned into affordable investment options while providing decent rental income along with the gradual appreciation. 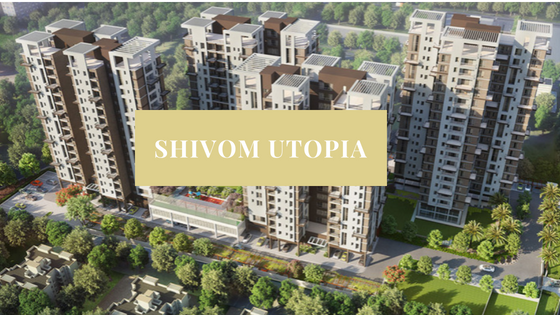 Ever since the construction of the metro railway in the city, the apartments like 3 Bhk Flats in Shivom Utopia have experienced a tremendous spike in the prices. It is right time to invest in the city as the metro rail project is under construction and will be a big catalyst for a hike in the prices of the property in future. Whether your purpose of investment in the city is to generate rental income or make money by reselling it, this is the right time to invest. 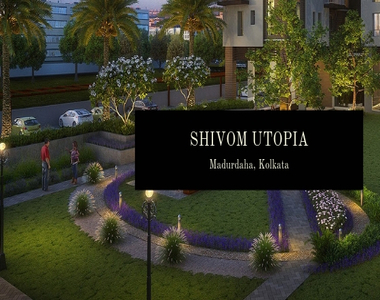 While considering many options to invest in Kolkata, 3 Bhk Flats in Shivom Utopia is one that you cannot miss. It is located in Madhurdha and is economically priced luxurious apartment in the city. The apartments here are beautifully designed with best in class infrastructure. They are quality home solutions that can be afforded by the common man. The apartments are embossed with the modern facilities to make the life comfortable while being tagged at the affordable price. Why neighborhood is important while purchasing the property? Apart from the pricing, size, and budget of the apartment you are purchasing, you should also consider the location of the property which you are buying. Picking the property in the right location is equally important as choosing it to be built by reputed developers. Due consideration should be given to the location proximity your regular requirements like shopping, healthcare, schooling, commutability to the office. Investing in the location that has good scope for the future development will bring a spike in the price of the property in no time. In every locality, there are most Desirable Streets and less desirable streets, the street we choose to purchase the property matters the most in bringing the attention of the prospective buyers as well renters in the area. The size of the apartment and block you choose to purchase also matters the most here. You can even think of compromising the size of the chosen property if it is in the prime location of the city. However, it all depends on the individual requirements of the buyer. Many renters sort the property after location. If you are purchasing the property in Kolkata for investment purpose, location remains the key determinant for making such investments. Of course, each and every factor here is a key in deciding if the property is a good future performer.